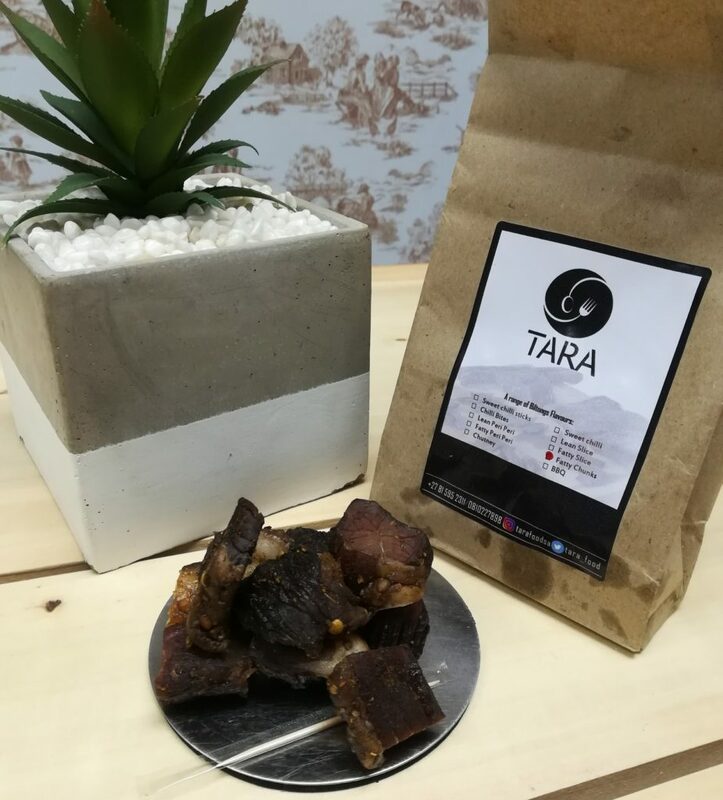 You are at:Home»Featured»TARA FOOD’s is Making Biltong Fashionable Again. Biltong is known as a fashionable snack that can also cost quite an amount depending on the brand and where you purchase it. 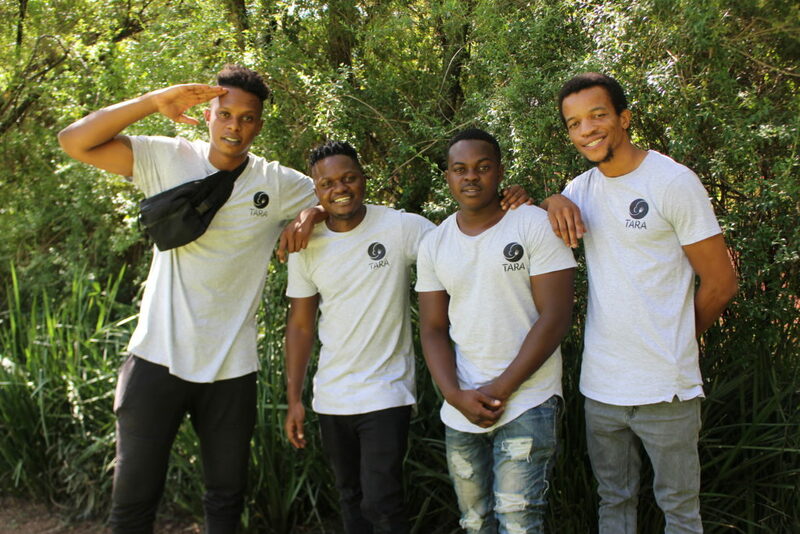 Meeting four young entreprenuers(Tom Nkuna, Abner Mbesa, Rhulani Nwaila and Allen Mbesa) who started their own Biltong brand and are selling to all office parks in and around Sandton. Tara food’s has been operating for the past two months and have truly made an impression. Out of curiosity i meet up with two of the partners to find out more about the new biltong brand in the north. When and Why did you start the Tara Food business? Tom: We had this business idea for 2 years but only officially registered it in February 2019. We ventured into the food industry because it was a good business opportunity. We had already done research, we knew what it entailed, what it could make and what we needed in order to start the business. At the time Abner and i had some time on our hands as we weren’t employed. We had the resources and information to start the business with enough time to plan and execute it. TARA foods was added amongst the other things we do so this didn’t replace an occupation or passion. We are still doing everything else we wanted to do. For one i am also in the music industry and construction business. How did you come up with the name TARA FOODS? “It wasn’t hard at all but after brainstorming a few names, we finally decided to go with TARA which stands for the first letter of each of our names (Tom, Abner, Rhulani and Allen)” says Tom. What measures have you put in place to ensure the sustainability of your business? Tom: The first rule is to make more than we spend. We don’t have unlimited funding so we can’t be making mistakes that are going to cost us. So its important that we spend within our means and reach our targets. On each day we have a target we need to meet before we go back home. Abner: When these targets are met everything else triples down. Its structured in a way, the odd days that we don’t do well are balanced by the days that we did well. We have invested in ourselves so we don’t really owe anyone. Our business is self funded. We are the directors, salesmen, packagers ,cooks , delivery guys and investor guys of the business. Its key for us to be at more than one place at a time, so when we in Woodmead they are in the Sandton or Rivonia side. Given the type of industry you are in, What’s your typical day like? Abner: We all wake up at 6:00am in the morning ,leave our houses at 8:30am we all to go to the places that we sell to. On a good day we are normally done by 12:00am and on a hectic da we might finish at around 14:00pm- 15:00pm. What products do you use for your Biltong? 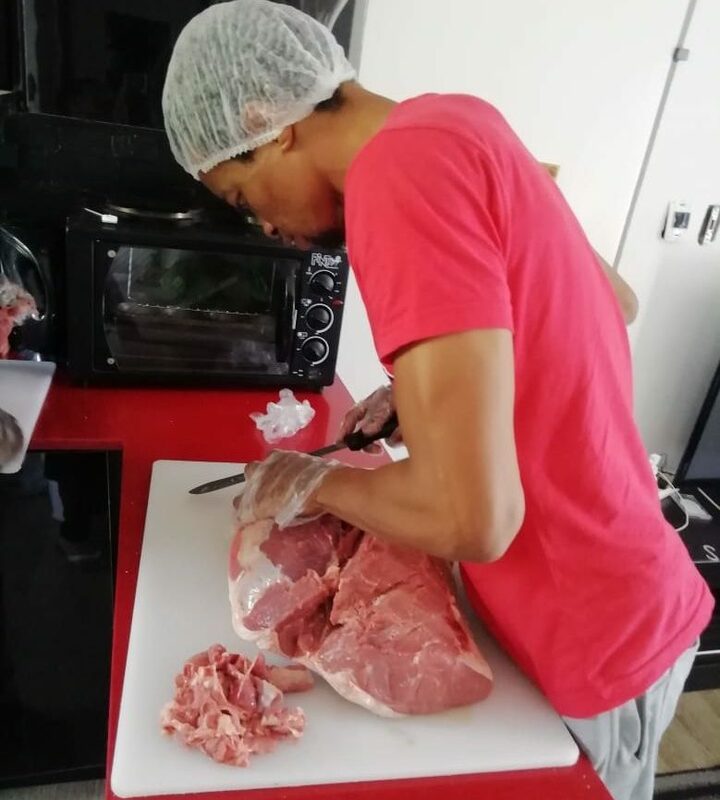 We outsource our meat then meet up at our kitchen and start with the biltong process. make the biltong ourselves .From the cutting ,to spicing , drying and packaging. How long is the shelf life of your Biltong? It lasts for two days but take longer when refrigerated. Needs to be consumed with in a week. What is your view on entrepreneurship in South Africa? Tom: An entrepreneur is very similar to a student who is looking for a job. A student who is studying and looking for a job has a support system in place from the moment they decide to go to university or college; a potential companies that will hire them as an intern even before they graduate, post graduates degrees etc. There are good support systems for graduates but what they don’t realize is that “as good as the support is, there are only a few that support system are willing to take.” There are a lot of graduates who can’t get jobs because there aren’t enough job opportunities. Out of 20 only 8 will get the support , therefore we fall under the 12 that will not get the job. This leaves an the option to look for a job that pays less or creating our own jobs .Tara Foods was a way for us to create an opportunity for ourselves to be employed, empowered without having to settle for a job that we didn’t want. Going forward i think the support structures that students/ graduates have we should also focus on proving same structures and support for entreprenuers. Entrepreneurs need more different hubs where they can have resources and knowledge available to them. What experience do you in running a business? Tom: I was part of the J&B hive. Its an investment portal for small start ups in SA .I joined it in 2017 for a music project that i was doing although i am still a member. What i learnt from the experience is that that “financially the hub does lot, we could do what was needed and they funded it and on top of that there was valuable experience in the teachings that they gave us from the different workshops with people who are in the industry. People who have gone through the same things we are going through. In that way i got to learn the business, the important aspects of it and the financials. As a business owner you are everything as compared to a person whois hired for a particular job which is to only spice the meat. You need to be a jack of all traits. Balance the books , do the meat, package and clean up the kitchen. To solve unemployment we need to create jobs and starting businesses. Most people are over qualified which makes them unemployable. Who are some of the influential people you look up to? 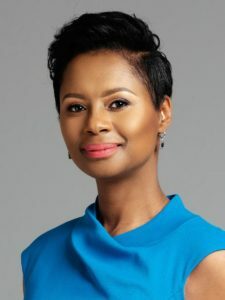 Tom: Internationally i admire Elon Musk & Jay Z and on a national scale i look up to Khanyi Dlomo. I was in a flight two years ago and i was reading some of the inflight magazine called Sawubona. This magazine was on every SAA flight and i realized it was produced by Ndalo Media. At hat in my life i wished to own a publication. Her magazines where in every flight and that truly inspired me. She has guaranteed readers who don’t even have to pay for the magazine. She literally makes a 1000 copies and sells all 1000 copies. This influenced me to start following her on social media as i had passion to write for the magazine. Even now as her company is liquidated i am proud to have seen her work and learnt from her. I look forward to seeing what she comes up with next. Abner : i look to my father, he’s the reason we went into the food industry is because he is a chef. I am also quite a foodie and a good cook. Thats who i look up to. What lesson’s have you learnt about the food business? Abner: What really opened my eyes is that research is very important, especially before you finalize things such as logo’s and packaging. We almost got into trouble with this one company because we were using their signs so that was a real eye opener for me. Tom: Doing enough research and not being ignorant to information and also being efficient but also leaving room for mistakes which will give us the opportunity to find out how they happened, why they happened and how to avoid them. Having enough time that allows flexibility to change things and correcting the errors as you go. “The plan you have when you start the company is not necessarily how it’s gonna be when its successful” you need to have room for errors, which also gives you space for disappointments and learning form your errors. How much travelling is involved ? Tom: Everyday is different. We are based in Radiokop West of Johannesburg which is where our kitchen is .I am based in the Johannesburg north. Theres two who reside in the west and the other two in the north. We arrive at the kitchen at around 7am in the morning and depending on the day, the furtherest we would travel would be woodmead and everything else is in the north and central Johannesburg.We usually would not be on the road for more than 30 minutes unless the is traffic, roadblock or an accident. Tom: Our concept is good quality food and delivering food to fast paced individuals in the workspace. When it gets to a particular success level we would like to change it into a public company that trades in the JSE. We want people to invest in our company and with our full working flow, in a certain amount of time we will be able to guarantee you a return on what you give us. So essentially it is an investment option. For example if you give me R 10 000 through our company and we can make you the R20 000 within estimated two months which is already a 100% interest and that is unheard of in any financial sector. We feel like there’s opportunities like that for people to invest and accelerate the company and simultaneously we can guarantee you make more money than what you can have back in the same time. I don’t know when that is gonna be happening but what is it , is to get people to put in money. How do you balance your personal life and work? 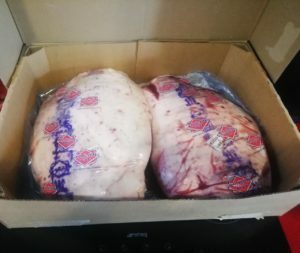 Abner: Usually after we done with sales we head back to the kitchen and prepare for tomorrow’s biltong then after work i go gym, maybe even chill with friends the n go home. Tom: Well i have other projects that am working on which is the music and the am also in construction with my father. So my time is split between the three. I have fun within those three. i don’t really have my own time.If am trying to have fun , its usually in the studio working with guys on particular things. it is still work but i guess its fun. If am not in the studio or busy with Tara sales am normally focusing on the construction business. This one time we had a client who’s card kept declining but because there were people around we didn’t want to embarrass him we let him try over and over again until he figured it out. At first we thought it was the card machine and then we used another card machine and it still declined. He was the only guy in the whole office block who supported us so we dint want to make him look bad. He figured that he was out of cash so he transferred money and all was good. You can follow Tara Foods on Instagram @TaraFoodsSA on Twitter @tara_foods.